Preheat oven to 425°F and grease a sided baking sheet. Place flour, salt and pepper in one dish. Whisk eggs into another. Stir together in a third dish the bread crumbs, panko, Parmesan, onion powder, garlic powder and salt. 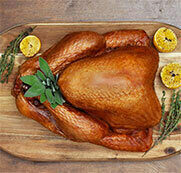 Pound out the 6 turkey fillets between sheets of waxed paper until flat. Heat the olive oil in a large skillet. Dip the turkey first in the flour, then egg and then bread crumbs. Fry the turkey cutlets in batches in the olive oil until golden and cooked through. Salt slightly when finished. Place on a baking sheet and spoon tomato sauce into the center of the turkey cutlet. 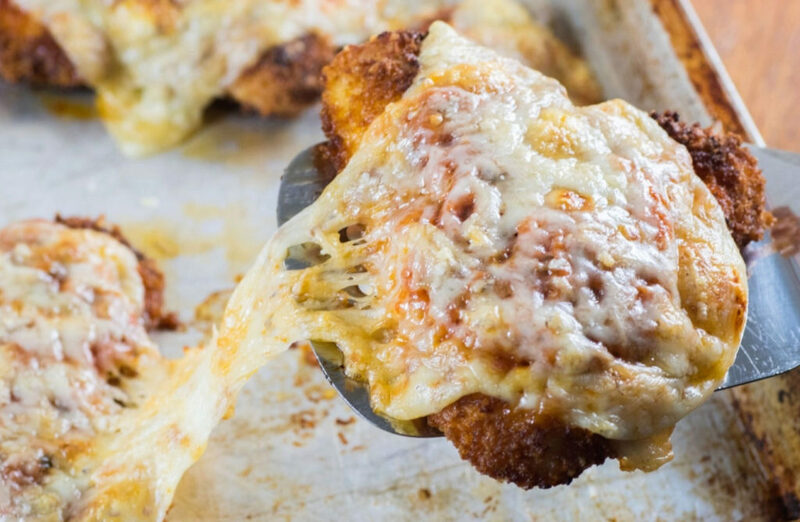 Top with a slice of mozzarella cheese and a sprinkle of Parmesan. Bake for 15 min. until cheese is melted. You can finish under the broiler for a few minutes to get the cheese slightly golden.